I’ve had several amazing experiences through the events hosted by the Balance Well-Being Centre in Kelowna. The opportunities for personal growth and rising up courageously are plenty. The first time I attended Storytelling Tuesday in January 2017, I was deeply touched by each of the stories people shared. I was also impressed by the number of people and the heart connection of people in attendance. I immediately knew I had to volunteer to speak, and found myself on stage for the first time one month later. It was a profound experience to share my story. I encourage people to speak up and share their story…there will be at least one person in that audience who needs to hear your story. 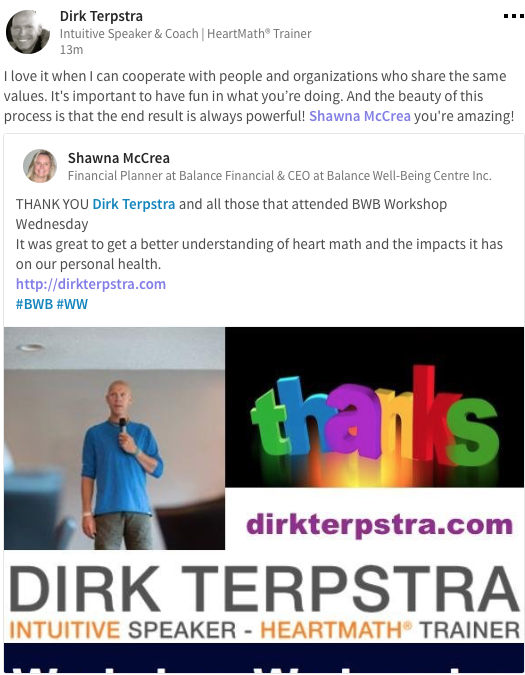 I’ve also attended the BWB Lunch & Learn when Meaghan Alton spoke about Money Matters, and found it extremely valuable. There is something magical about sharing the stage with amazing people in a loving community. Shawna McCrea, of The Balance Well-Being has created an amazing event that provides a safe environment to share your story. I have found my people… finally. I have been searching for along time, and I feel so at home with the members of this community. Thank you to Shawna, primarily and all the amazing people she attracts. Shawna is doing a wonderful job creating a wonderful community of business and entrepreneurs! I have had the great honour of performing at the very first Storytelling Tuesday and have gone to a number of them. In October 2016 I took to the stage along with an incredible group of speakers and shared a little of my story. It was such an amazing experience, I highly recommend attending and considering sharing something of yourself. I have watch the evolution of this event moving from one space to its new home (which I personally think is WAY more honoring of its intention). I have also watched the evolution of the speakers, each one being unique and wonderful yet something is happening, something is transforming as I see speakers digging deep and there is a heart opening that is taking place. I am impressed and blessed to have been part of this event and will continue to attende whenever I can. I have been moved by the quality of what Storytelling Tuesday offers, not only for the individual storyteller sharing their story, but also for what is shared for the community. Our stories point to something larger than just the telling of the story itself. There is something happening below the surface that connects people, opens one up to something larger within oneself. The story is like the fairy tale, or a movie, which takes us to a deeper place within our psyche, a place of imagining, creating, forgiving, engaging, fearing, loving, or dreaming. Recommendation: If Shawna is as passionate about her financial planning business as she is about making a difference in people’s lives, I would definitely recommend her to manage your investments!! Shawna’s dedication to supporting others to have the courage to be vulnerable and share their story on ‘Story Telling Tuesdays’ is a testament to how much she believes that living life from our hearts is the only real way to be. I have listened to several of these story evenings, and I have been moved, not only from the inspirational stories, but also by the bravery brought forth by the presenters. 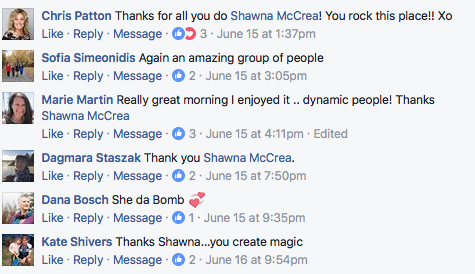 I believe that the reason each story teller has the courage to stand in front of strangers and speak their truth, is because Shawna instills genuine trust and confidence in them.This is just one example of the gifts she, so willingly shares with the world. Shawna is a quiet authentic leader, the kind that doesn’t talk a lot about it, but confidently walks it. WHAT IF YOU TOLD YOUR MOST SHAMEFUL STORY? July 26, 2016 · by Kasia · in Aligning, Inside the Artist, Tools & Tips, Trusting. I used to only write when I felt I had something of value to say. I see no point in filling up your space with fluff. Your time is precious and so is mine. Recently, however, I’ve had some clarity about clarity. And sharing stories. And it all started when I told my most shameful story. You never really know someone’s story — that is, until they have the courage to stand in a room of strangers, wrestle with fear, and turn the visceral into the verbal. What are we each but the sum of the stories of our lives? I believe that, innately, all of us yearn for deep connections with our fellow humans, and it is the authentic sharing of our stories that binds us closest together in this way. As to whether or not we do share our stories; those stories that most define who we are, is a big question. There is a raw vulnerability in sharing these stories, so much so, I believe, that the mere notion or hint of sharing them has us typically recoil from even the thought. It’s because we know we’re really laying ourselves out there if and when we do; putting ourselves in a position to be judged, ridiculed, misperceived, rejected, or worst, humiliated. These are very strong headwinds when deciding if we’re going to share any of the array of safe stories we easily have at our disposal, or, quite conversely, crack open the safe that houses those stories of our lives that are most tender to us. Enter a safe space. Enter genuine interest. Enter a spirit of wholesome support. Enter a community oriented environment where the highest intention is to facilitate individual self expression. Enter an environment in which individuals come to sense, with growing confidence, that they are going to be upheld; that they are valued for who they really are; that they are and will be honoured for the stories that have carved out their character; that they are held safe to share of themselves more personally; that they have this opportunity before them to participate in a collective that exemplifies generosity of spirit of which they come to be an integral part. And, as Laurie has so eloquently described, each participant, whether on stage, or in the audience, becomes more in touch with their essence, and that essence within each of us that is commonly shared – that is our common identity – through the process of revealing, revisiting reminiscing, and reliving the stories they hold closest to their souls. Telling one’s personal truth in front of a room with strangers (if not the wrong term given the spirit of the event!) can be daunting. It requires something special. What would you say is a common quality among those who choose to stand up and tell their story? Why do they do it and what are they trying to accomplish, in your view? Tom, here is my perspective, both from a co-M.C. of these gatherings, and also a past speaker. It is a completely different experience to be sharing part of a personal story, vs. sharing knowledge or facts in a presentation. Many of our storytellers are comfortable on stage (myself included), however, it was a personal challenge for me to first select a story, and then share of myself. I chose to share a story that I had never told anyone about, not even my husband or family. For some reason, the lesson of it resonated deeply with me and I clearly heard the message that it was to be shared. When ‘that’ voice speaks, I take action. I found it cathartic, having released something that had been inside me for some time. I believe that first one needs to see value in being authentic, understand that our stories connect us, and to trust that when we share from our heart, the right words will come. To be willing to take a step outside our typical comfort zone, and have faith that our story holds meaning for many. I see it as an act of loving service. Some stories touch us deeply. Others bring humor, laughter, and delight. The culture of respectful listening and engagement from the audience has supported and inspired many to come forward with interest. 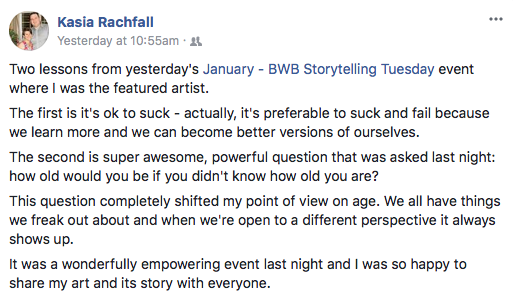 And I trust, in some small way, that the guidance and support of Murray and I with each Storyteller helps them trust the process and BWB community to challenge themselves, step onstage, and share a piece of themselves. We all matter. By simply sharing a part of themselves, Storytellers give others permission to do the same. One lady shared that she received a huge gift of perspective herself, while preparing her story. 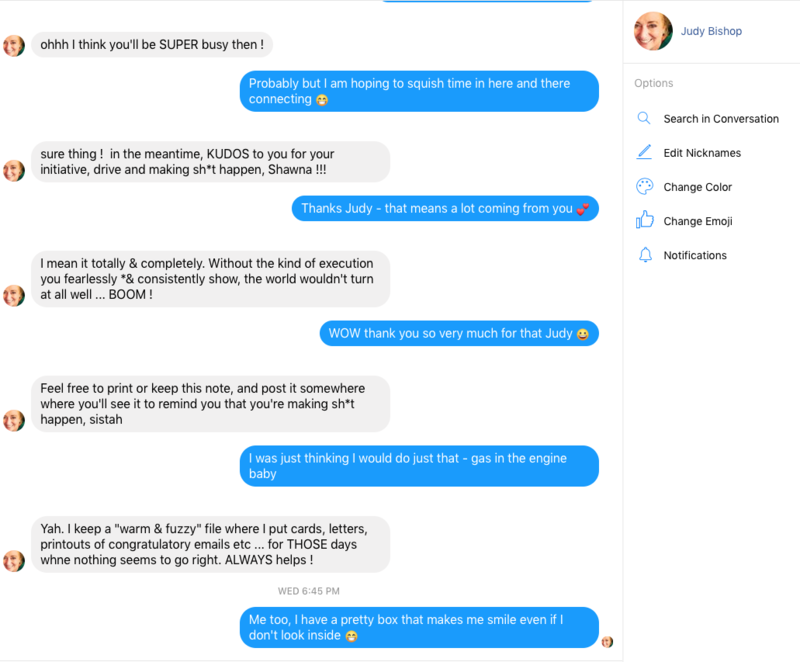 Certain dots weren’t connected until she said ‘yes’ to STT. It was a profound awareness, and my heart is full thinking about it ! We receive as we give, n’est ce pas? Shawna is an incredibly enthusiastic, organized, inspirational, visionary, professional and productive business woman. With many years of background in the financial sector, Shawna decided to expand her reach and create the Balance Well-being Centre (BWB) based in Kelowna BC. BWB is all about creating a “Wellbeing Community”, bringing together like-minded individuals and companies to support one another, and help each other thrive. 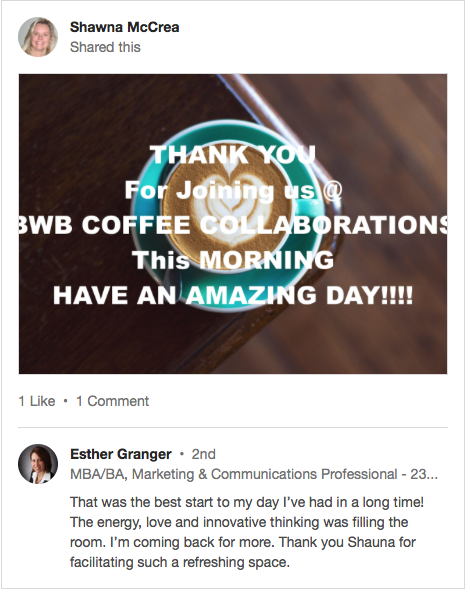 A large aspect of Shawna’s work with BWB is hosting 3 community events every month: Coffee Collaborations, Lunch and Learn and Storytelling Tuesday. All three events have been a tremendous success from the very beginning. Shawna’s energy is contagious and with the amount of success BWB has seen in it’s early stages, the sky is really the limit to see where Shawna will take BWB in the future! 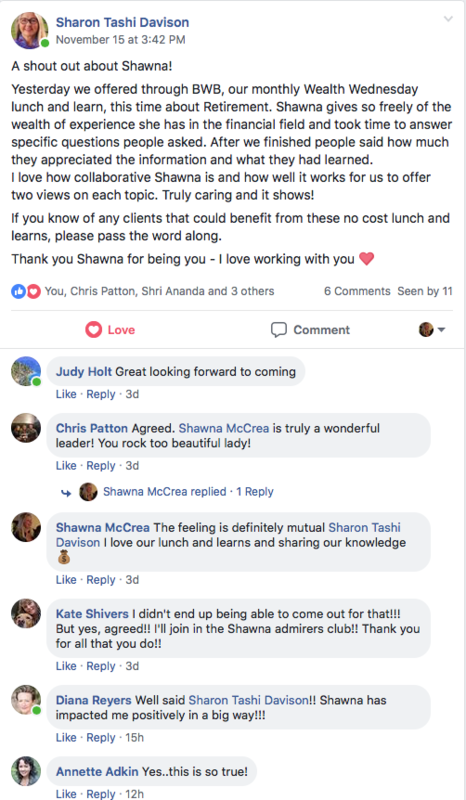 Personally, Shawna has been an asset to help me and my business grow, and I know that she is greatly appreciated by many other entrepreneurs in the community. 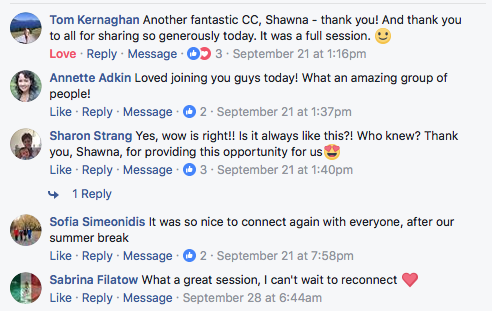 If you are looking to grow your business, get involved with Shawna and the BWB Centre and you’ll never look back! I’ve had the pleasure of knowing Shawna for several years; we met through some business networking events. She is open, friendly, a great listener and always supporting and promoting others and their work. Shawna is a strong community builder, has vision and knows how to attract talented team members who work collaboratively with her. She models healthy collaboration in her personal life and work. 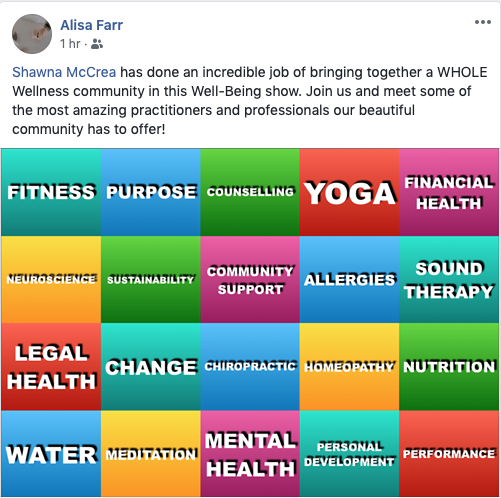 It’s been exciting to see Shawna follow her heart and create her new Balance Well-Being Centre over the past year. I’ve been impressed by the quality and creativity of the events she is hosting. Know that any event Shawna is a part of will be welcoming, fun and extremely well organized.